The demographic characteristics of the population are an important indicator of the situation in a certain area, whether as an indicator of economic, social, political or any other processes that take place in that area. According to the last population census from 2011, the Dubrovnik-Neretva Region has 122,568 inhabitants. 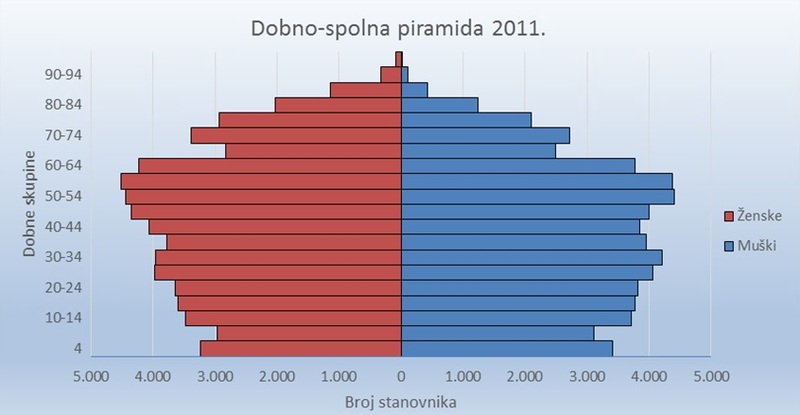 This figure represents a decrease of 302 inhabitants compared to the 2001 census, when the population in Dubrovnik-Neretva Region was 122,870 inhabitants. Looking at the period between the 2011 and 2001 census, the negative movement of population is characteristic for most municipalities and cities, except for the cities of Metković and Opuzen, and municipalities of Konavle and Župa dubrovačka. Most inhabitants live in the city of Dubrovnik (42,615), and the municipality with the largest population is Konavle Municipality (8,577). Janjina Municipality has the lowest number of inhabitants in the Region (551). The average population density has not changed much since the previous census in 2001, when it was 68.98 people per km² (in 2011 it was 68.82 people per km²). The municipality with the highest population density is Župa dubrovačka (364.7 people per km²) and the lowest population density is in the municipalities of Dubrovačko primorje and Mljet (11 people per km²). In 2011, the Dubrovnik-Neretva Region, as well as all other counties, had a negative natural movement, i.e. a natural decline of population. Natural demographic decline of -12 inhabitants is the result of a total of 1,273 births and 1,284 deaths in the Region. The causes of negative population growth are numerous, one of the most significant ones being the depopulation of settlements and emigration. In the total population of the Dubrovnik-Neretva Region there are more women (62,947 or 51.36%) than men (59,621 or 48.64%). This ratio is rather similar to the one at the national level (51.78% of women, 48.22% of men). If we consider the big age groups, it can be noted that the number of men is somewhat higher in the young population, that it is equal to the number of women at mature age, and that the female population prevails in the group of older inhabitants. Looking at the overall population per age structure, there is an ongoing process of decrease in population size in the lower age groups. 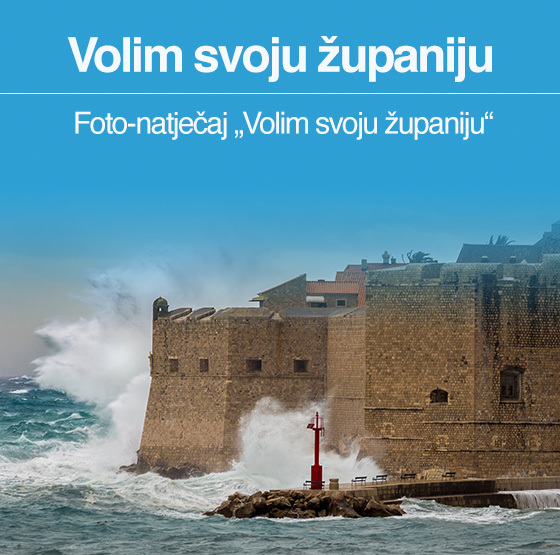 The average age of residents in the Dubrovnik-Neretva Region is 41.5 years. 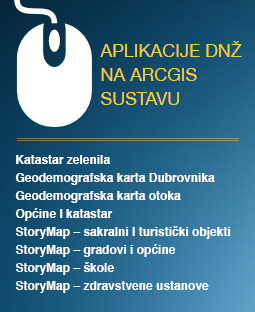 If we take into account the average age in all other Croatian counties, this Region is situated in the very middle. The ageing index and age coefficient are the best indicators of the age and the ageing process of a particular area. Consequently, one can easily conclude that the area of Dubrovnik-Neretva Region has entered well into the process of ageing (ageing index is 109.4, and age coefficient is 24.4). It is believed that the population of a particular area entered the ageing process if the ageing index exceeds 40% and the age coefficient exceeds 12%. The population decline in the Dubrovnik-Neretva Region is a negative indicator of the situation in the area. In order to ensure a more balanced demographic development and a positive population movement, it is necessary to ensure the local population continues to live in the Region and encourage the immigration of young and working-age population. Javna rasprava - STUDIJE GLAVNE OCJENE PRIHVATLJIVOSTI ZA EKOLOŠKU MREŽU ZAHVATA: "IZMJENA ZAHVATA SUSTAVA NAVODNJAVANJA DONJA NERETVA – PODSUSTAV KOŠEVO- VRBOVCI"